Today. THQ have announced that a bunch of downloadable content will be coming to the WWE All Stars game. The DLC will be coming to both the Xbox 360 and PS3, so check out the details below! The Million Dollar Pack is now available for download at a suggested purchase cost of 160 Microsoft Points or £1.99 via PlayStation Network. 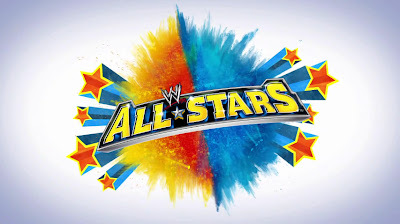 R-Truth is scheduled to be available for download free of charge to all WWE All Stars owners via Xbox LIVE and PlayStation Network on 6th July, 2011. The All-Time Greats Pack is scheduled to be available for download on 6th July, 2011 for a suggested purchase cost of 320 Microsoft Points or £3.99 via PlayStation Network. The Southern Charisma Pack is scheduled to be available for download on 3rd August, 2011 for a suggested purchase cost of 240 Microsoft Points or £2.99 via PlayStation Network.